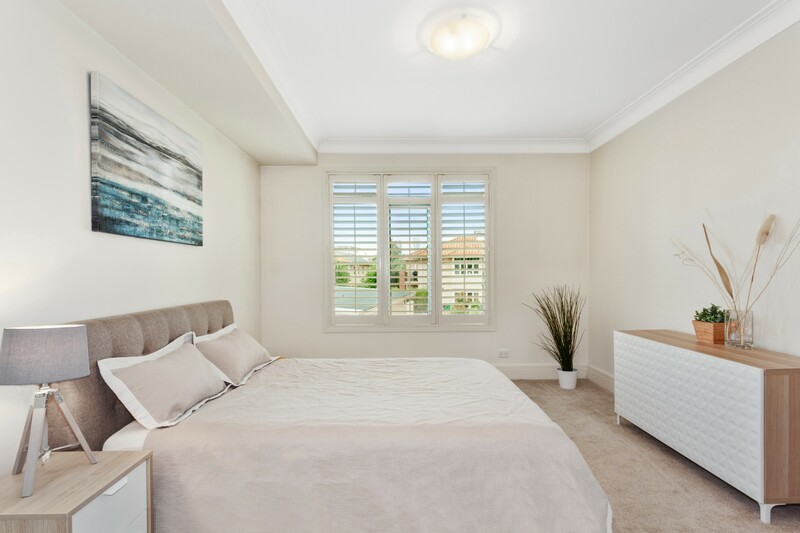 Enviably located just a short stroll from beautiful Port Phillip Bay, this modern holiday apartment has 2 generously sized bedrooms, 2 modern bathrooms and garage parking. 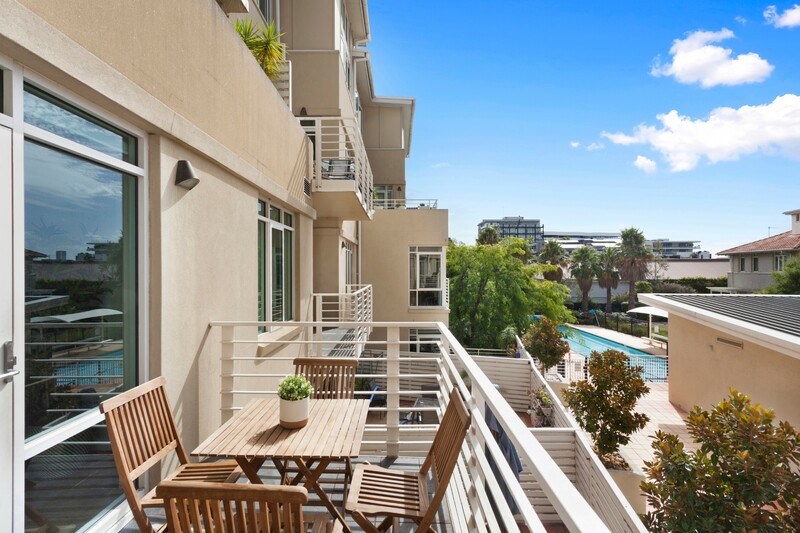 It boasts a comfortable living area flowing onto an inviting private balcony – the perfect place for quiet reading and al fresco dining. 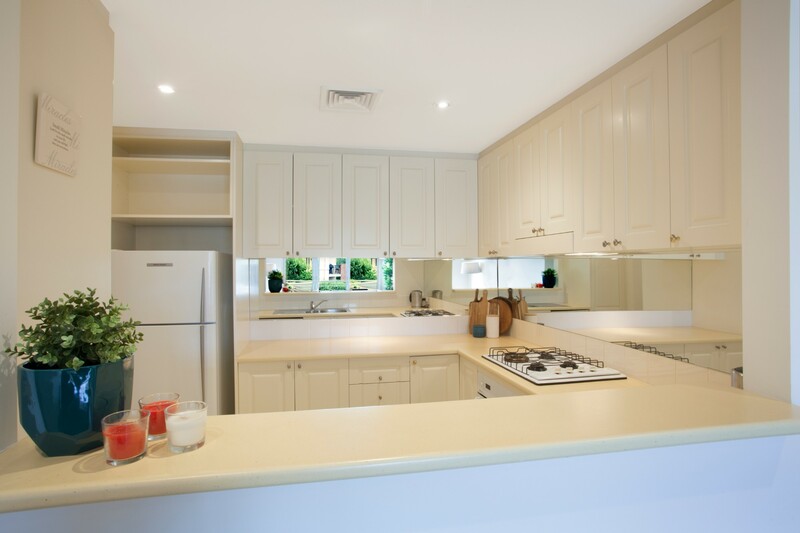 The kitchen is fully equipped with everything you need and there is a separate dining area. Air-conditioning and heating makes this a year-round place to stay. 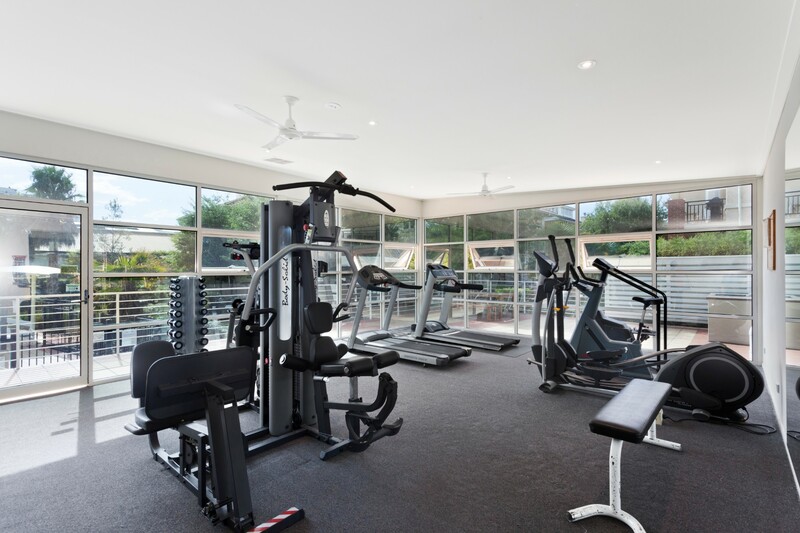 The community gym, outdoor pool and lush gardens are a big plus for guests to relax and enjoy. 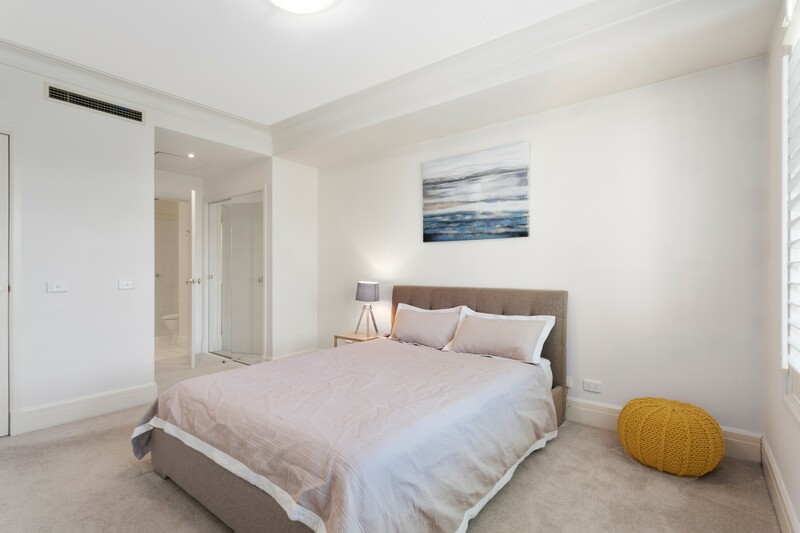 Centrally located, you can leave your car in the garage and enjoy the pleasant stroll to the bay, shops, cafes and restaurants or take public transport into Melbourne City Centre. 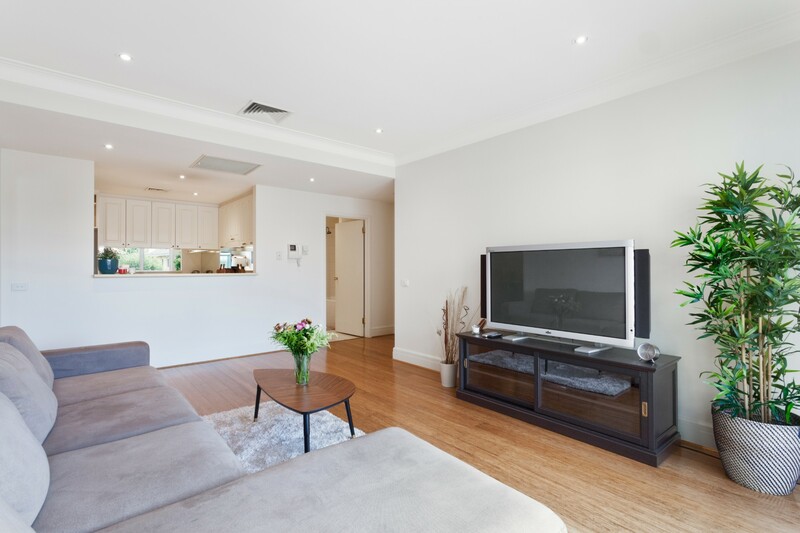 Spacious open-plan living area with laminate flooring and plush sofa seating for watching the flatscreen TV. 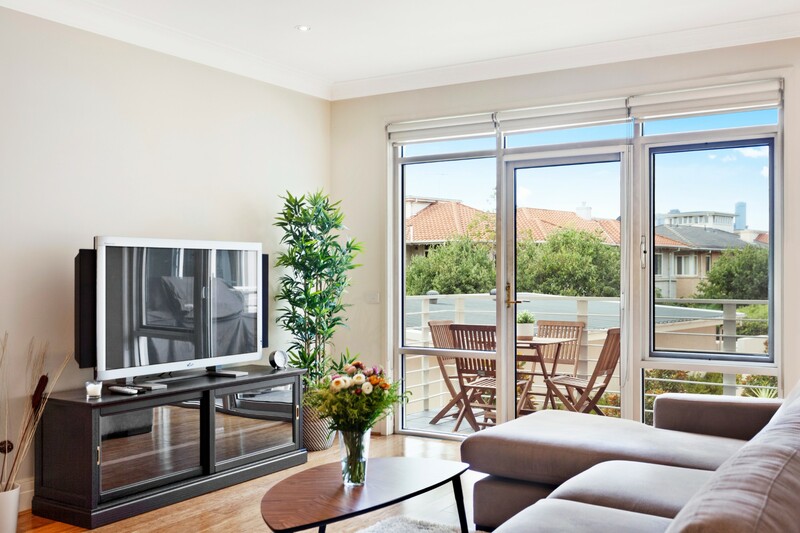 Full height patio doors provide ample natural light and access to the pleasant balcony space for alfresco dining and relaxing. 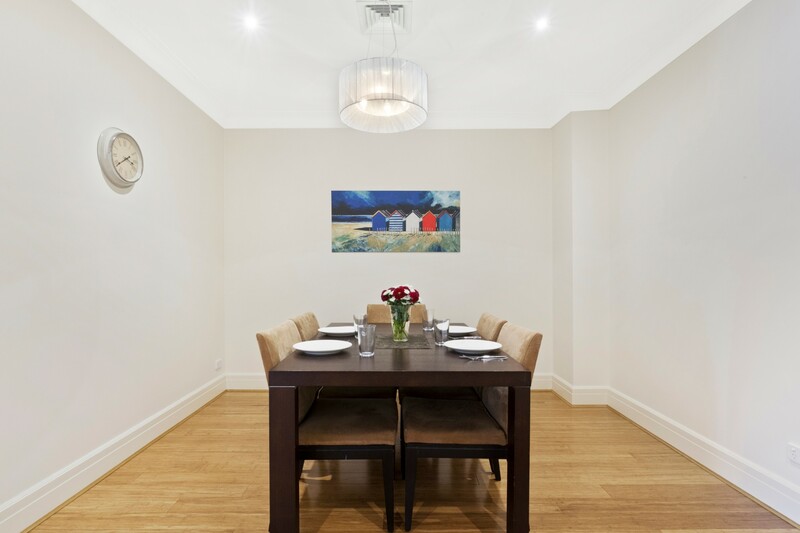 Separate dining area with modern dining table and 5 chairs. Fully fitted white kitchen with tile floor and half-height wall to living area. 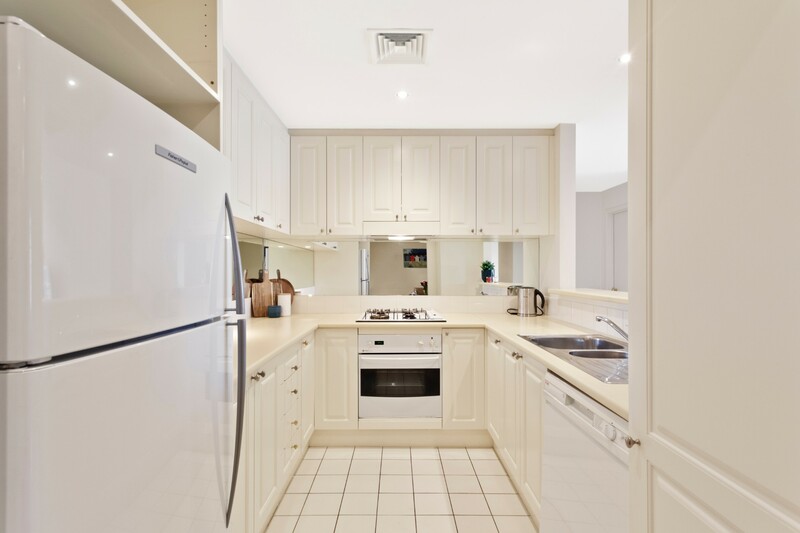 White appliances include oven, hob, fridge-freezer and dishwasher. 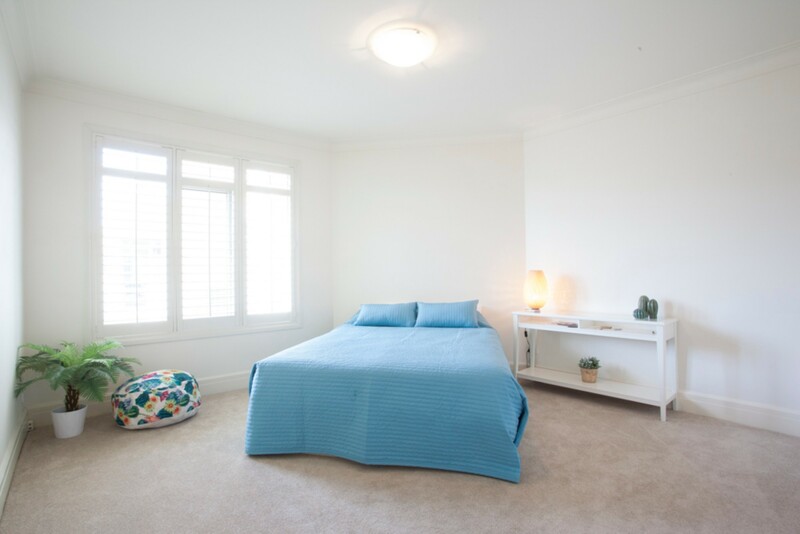 Bedroom 2: 2 x singles (can be made as king), plus additional single bed and trundle (suitable for a child only, made up on request). 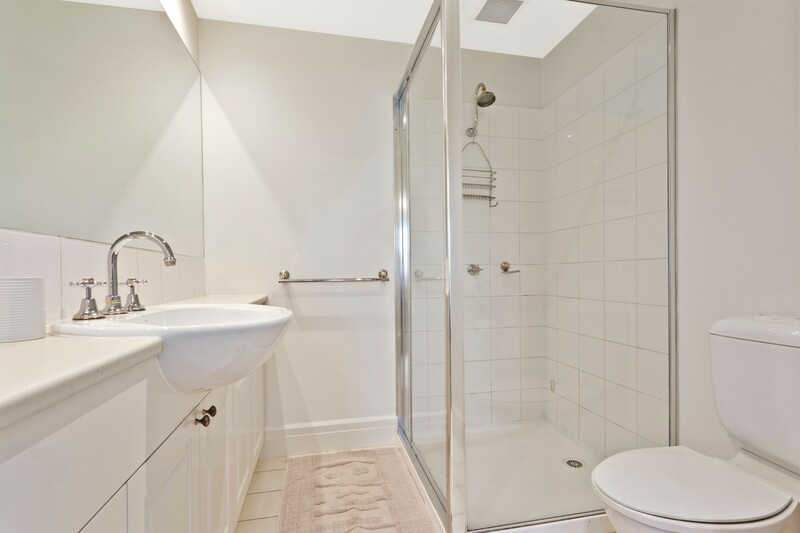 2 modern white bathrooms, one ensuite with walk-in shower; one with bathtub and shower above. 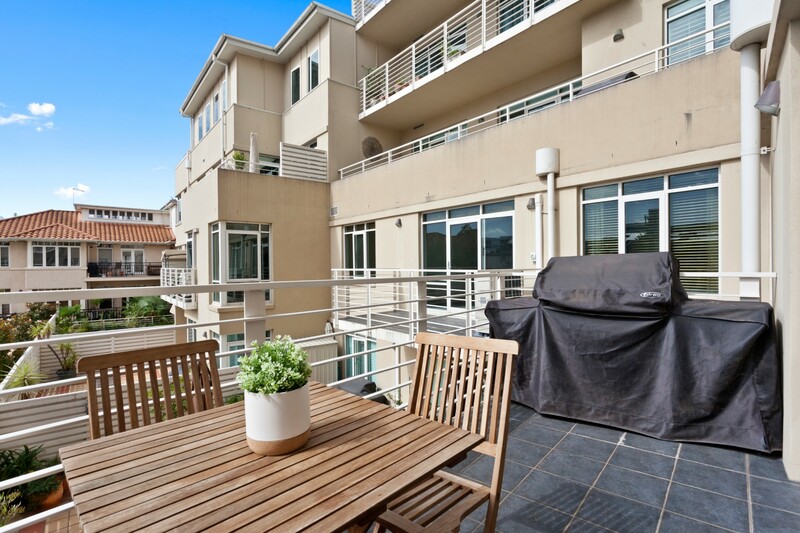 Private balcony with BBQ, dining table and chairs. 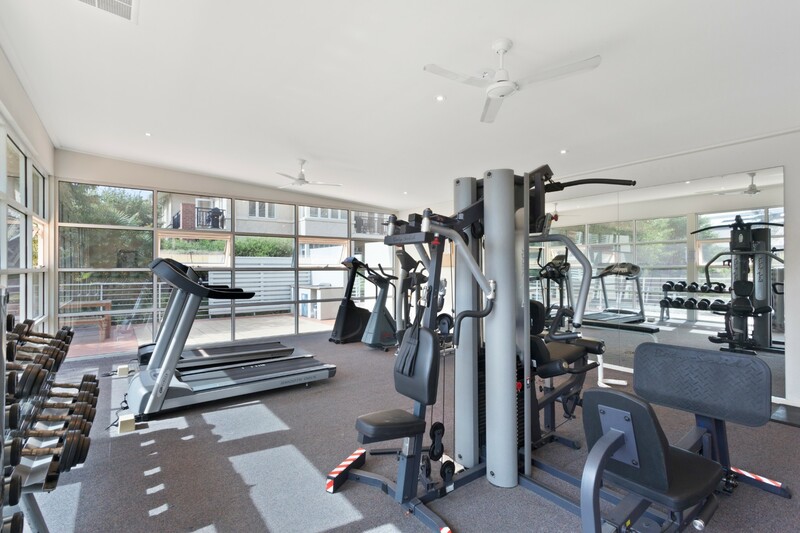 Community pool, gym and lush gardens. 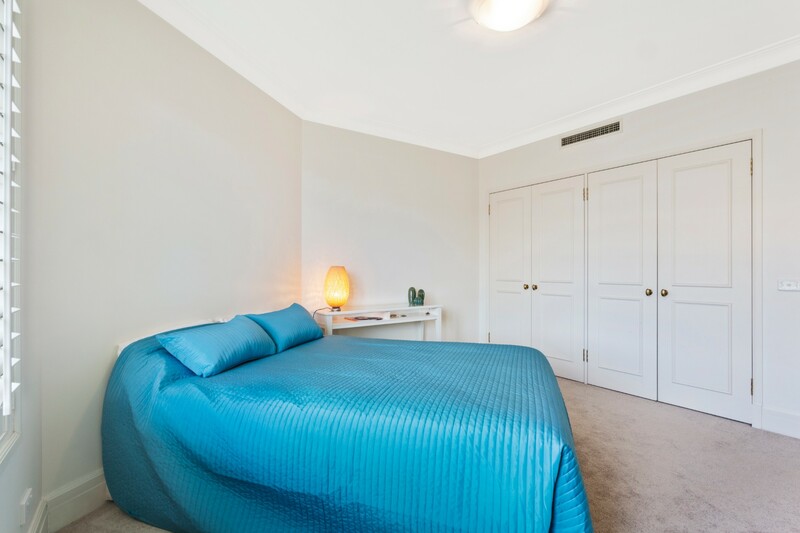 Located on Esplanade East, just 2 minutes on foot from beautiful Port Phillip Bay, this luxury holiday rental near Melbourne is within strolling distance (500m) of shops, cafes and restaurants. 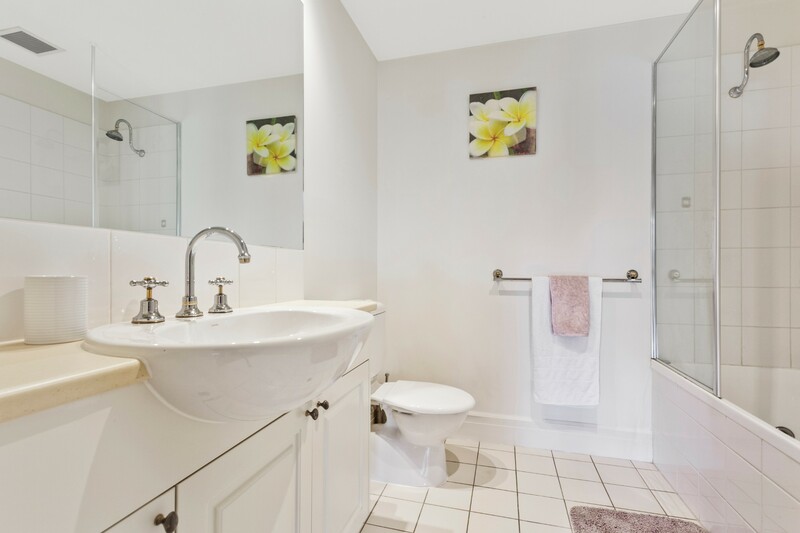 It makes the perfect base for exploring scenic Port Phillip Bay and the Port Melbourne foreshore. Public transport makes a trip into Melbourne City hassle-free. Enjoy cultural attractions in the museums, State Library and theatre or take in the city architecture and parks on a walking tour. 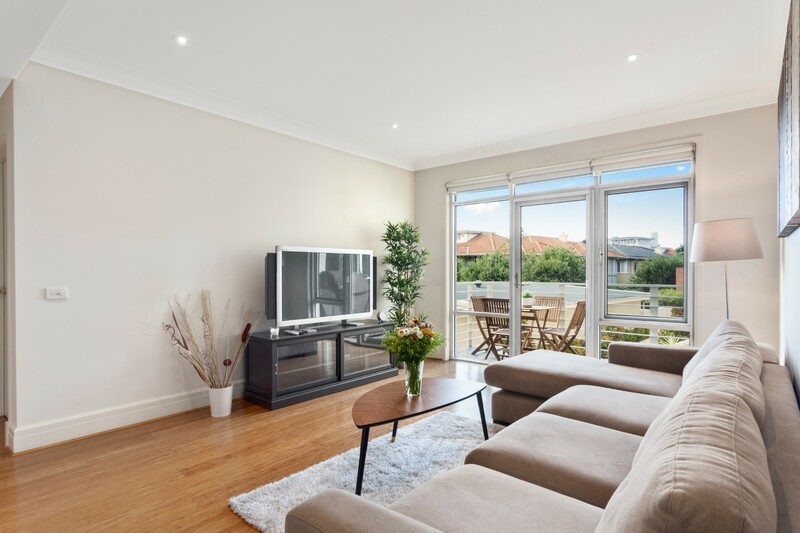 We (family of 5) visited Melbourne to see a sporting event and were delighted to spend the weekend having a great getaway holiday in a beautiful apartment with pool and beach nearby. Definitely come and stay here again ! We came to Melbourne to see our football team play. The accommodation made the whole experience more of a holiday feel. 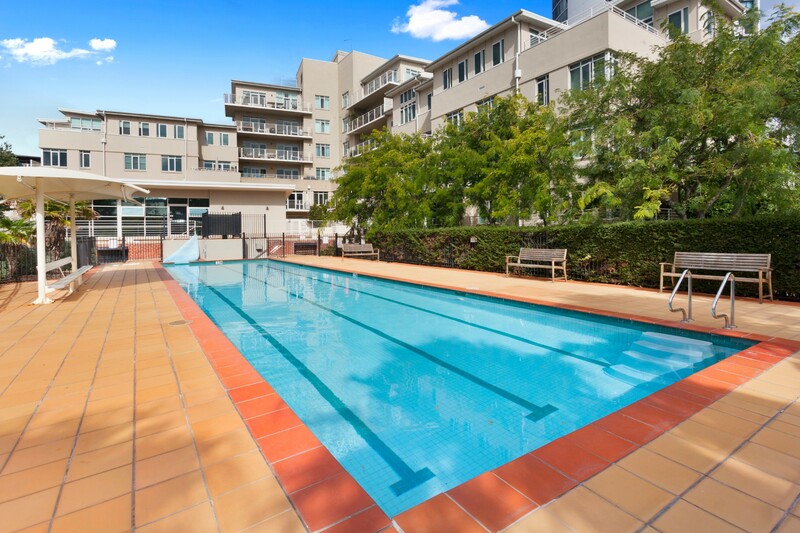 The surrounding garden area and pool was great and Port Melbourne a delight to stay in.